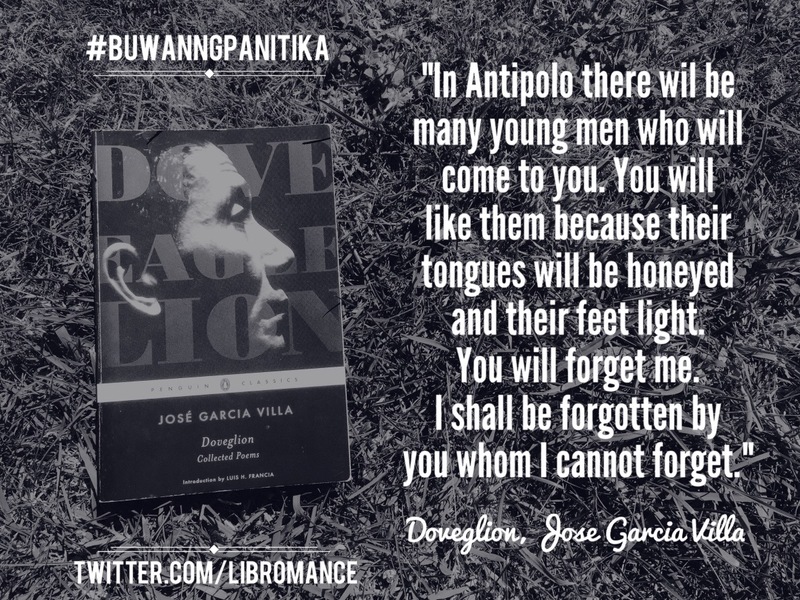 The month of April is National Literature Month in the Philippines or #BuwanNgPanitikan and in its honor, I thought of doing this Sunday’s feature on the literary work of Filipinos. I grew up with mostly American literature and found it incredibly difficult to engage with Filipino lit. Although my first language is Tagalog, it was much easier for me to read and write in English. José Rizal, the journalist/poet/writer and national hero of the Philippines, would’ve surely scoffed at this. One cannot omit Jose Rizal’s Noli Me Tangere and El Filibusterismo, two important pieces of literature that awakened the country’s consciousness during the Spanish colonization. Both of these were required reading when I was still in school. I have some faint recollection of the texts, mostly remembering the female characters of María Clara and Sisa. The former is the mestiza heroine of Noli Me Tangere, embodying the Filipino “feminine ideals” while the latter embodies the kind of hardships mothers go through for their children. I was introduced to Jessica Zafra when I was younger, although I can’t remember any of her work. I might have read a book of hers (maybe Twisted?) but I think my mind was stubbornly glued to American lit, finding it more interesting at that time. I also vaguely remember reading Andres Cristobal Cruz’s Ang Tundo Man May Langit Din (Even in Tondo There is a Heaven), a Tagalog novel about poverty and violence in one of Manila’s most impoverished neighborhoods. Again, my experience was the same — I found it hard to engage with the text, much less comprehend the essence of the book. 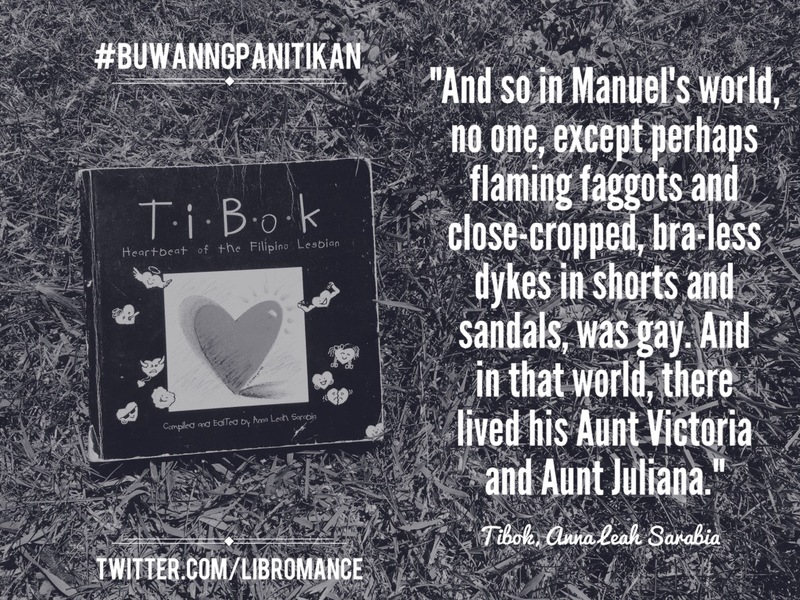 The single piece of literature that spoke to me at that time was a book called Tibok: Heartbeat of the Filipino Lesbian, an anthology written by queer Filipino women writers. I was immediately smitten. The stories, essays and poems spoke to me on a personal level. That copy belonged to my English high school teacher and a decade later, I finally got my own. I am fortunate that in the Bay Area, there are resources that people can turn to for Filipino literature. There’s the Filipino American Center at the San Francisco Public Library with its trove of fiction and nonfiction materials. In the recently established Filipino Cultural Heritage District in the South of Market of San Francisco is also an indie bookstore called Arkipelago. It is a community-based specialty bookshop that I could get lost in for hours. And there’s PAWA, Inc. (Philippine American Writers and Artists, Inc.), a space that encourages Filipino American art and literature. It wasn’t until I moved to the U.S. that I became more interested in Filipino lit. The San Francisco Public Library and Arkipelago aided and nurtured that interest. My politics also influenced the kinds of literature I sought; I stayed with Amado Guerrero’s Philippine Society and Revolution, I was smitten with Bienvenido Lumbrera’s Poetika/politika. To contribute to the conversation around #BuwanNgPanitikan, here are my own “Pira-pirasong Panitikan” (literary pieces) from Filipino lit I’ve acquired over the years, à la Rappler style (as seen above). The end of the Filipino writer, although he employs foreign materials, should always be to harness and unite these in the native manner so that the resultant piece becomes a perfect work of our own literature; developed in the treasury of the national soul. 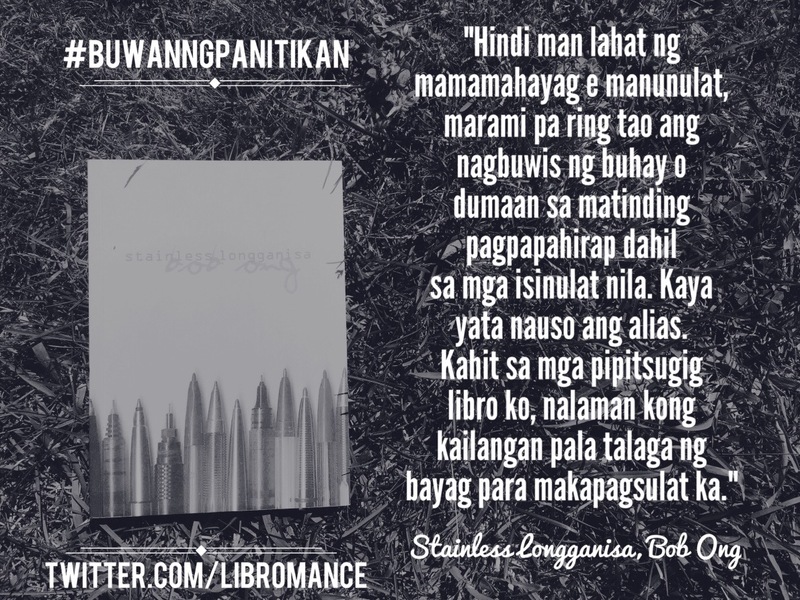 Do you have Filipino literature recommendations? Leave them in the comments below!